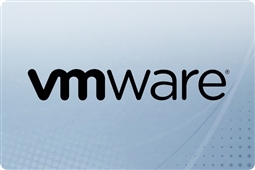 Get VMware vSphere Essentials Plus Basic and Production Support Here! VMware vSphere Essentials Plus Service and Support (SnS) is the ideal way to get more robust coverage and support for your existing VMware vSphere 6 Essentials licenses, and is excellent for businesses of any size utilizing the high availability features of vSphere ESXi 6.0 to receive the support and functionality they require. These support licenses enable key functionality for VMware vSphere ESXi 6.0 such as vCenter Server, vShield Endpoint, vSphere Replication, High Availability, vMotion, and so much more! This makes VMware Essentials Plus Support Subscription Kits the ultimate all in one functionality solution for small businesses looking to virtualize with VMware ESXi, yet still gain enterprise level features! Aventis Systems offers annual subscription licenses in both VMware vSphere 6 Essentials Basic and Product support levels. What is the difference between Essentials Plus Basic Support and Essentials Plus Production Support? Vmware vSphere 6 Essentials Plus Basic Support provides technical support services Monday through Friday and 12 hours per day according to published VMware business hours. VMware vSphere 6 Essentials Plus Production Support provides always on coverage 24 hours a day 7 days a week with VMware technical support agents. All Aventis Systems VMware Essentials Plus Support Subscriptions are available via electronic download and in 1 year and 3 year terms for your convenience. In order to tie your new support license to your existing VMware Essentials contract we require that you provide your current contract number as well as connected email. So check out our products below and bring the best in robust coverage, features, and functionality to your VMware Essentials license today with VMware vSphere 6 Essentials Plus Service and Support kits!